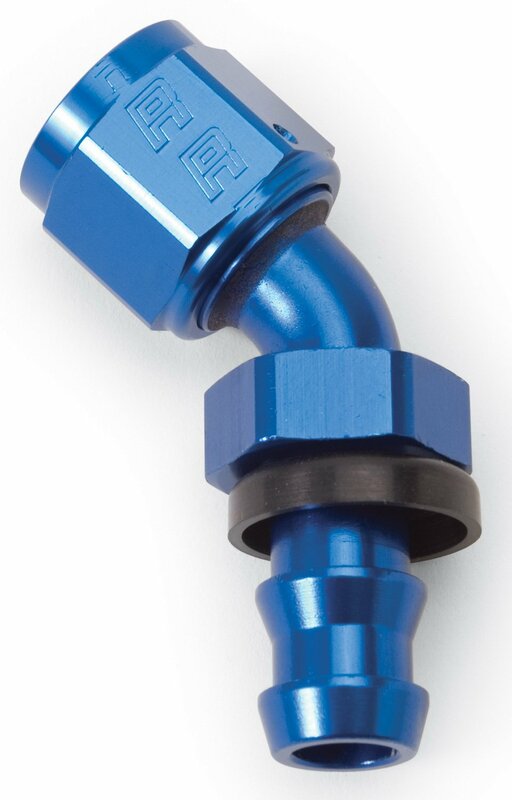 Russell Twist-Lok hose ends are easy to assemble and require no special tools. These hose ends are constructed of lightweight aluminum and are 40% lighter than conventional AN hose ends. They are designed with the traditional 37° AN angled sealing surface for that positive anti-leak seal and will not require the use of a sealing compound or PTFE tape, guaranteed! Twist-Lok hose ends work with any Russell AN adapter or carburetor fittings. For use with Twist-Lok hose only.